Andrew Lichtenberger is yet another young professional poker player who has been able to stamp his mark on a world of poker professionals that seems to be getting younger with each and every new addition. 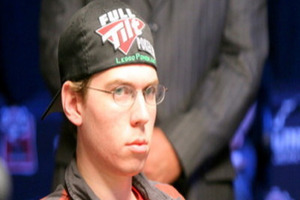 Lichtenberger has managed to create a great amount of respect from other professional poker players, demanded by the young pros statistics and winnings from the countless tournaments and No Limit ring games that he participates in, generating $1,891,423 just in the tournament cashes that he has to his name. Lichtenberger is yet another professional poker player who spends a lot of time playing online poker action too, playing under the screen name ‘luckychewy’ at both Full Tilt Poker and Ultimate Bet and ‘runthistable’ while in action at PokerStars. Although the player is only 21 years of age, his poker strategy has caused a number of big names within the online poker tournament scene to sit up and take note of the player, making him possibly one of the most feared online poker tournament players that you could see at your table. Lichtenberger has had a number of close running’s within the World Series of Poker, placing within the final 18 back in June 2009, cashing a prize worth $500,577. The young pro will be looking to improve on that placing within the upcoming World Series of Poker Main Event and with the player seemingly hitting a strong period of form, maybe this year could be his year. Definitely a player to watch.